Suneden has been on site at Mitchell Park since 1966. 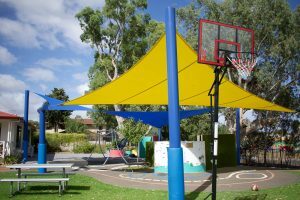 Set on large grounds with an enriched playspace backing on to the Sturt Creek, the students have ample room to play and explore amongst the beautiful River Red Gums lining the perimeter. 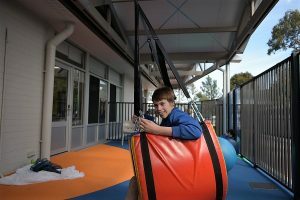 The yard is securely fenced, and with a separate playspace for the Junior students, the outdoor areas offer both safety and stimulation. In 2014 and 2015 the Sensory Play Space, the feature of our senior play yard, won a number of architectural design awards for aesthetics and innovation. In 2017 the school facilities had a major upgrade courtesy of a Commonwealth Government grant. The internal classrooms are now modern and bright with an ergonomical design. 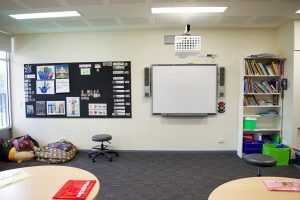 Most classrooms also have access to large indoor/outdoor areas in full view from the internal room, offering flexibility and the opportunity for outdoor play in the wet weather. A large modern purpose-built bus bay was built at the rear of the school in 2017. 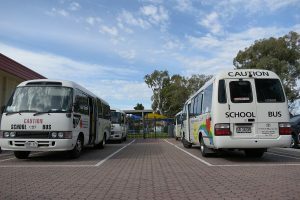 The bus bay is securely fenced and offers safe and spacious loading and unloading zones for the students into the rear yard of the school.